Tonight is Oscar night. It’s the biggest night in Hollywood. It makes me think about all the glamour and glitz while the celebrities walk the red carpet. They wear the highest designer fashions. We turn on our televisions to watch their arrivals. We wait to see who will win the Academy Award. We hope our favorites take home the Oscar. In this generation many people idolize famous celebrities, athletes and others within the entertainment industry. Who are your heroes? Whoever you admire says a lot about who you are. These inspirational heroes change us. They make us think differently about ourselves and the lives we live. Those who make a big impact in the world, leave a lasting legacy that transforms our lives. 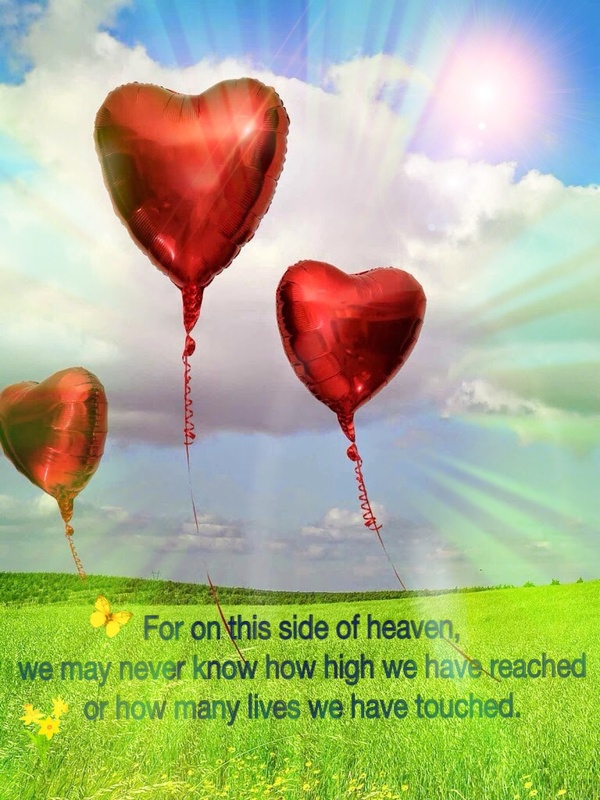 For on this side of heaven we may never know how high we have reached or how many lives we have touched. I do believe however, when we reach our heavenly home, we will see lines of people and crowds of smiling faces. Those lives we touched in simple ways, as well as those we have greatly impacted, will be there to thank us. 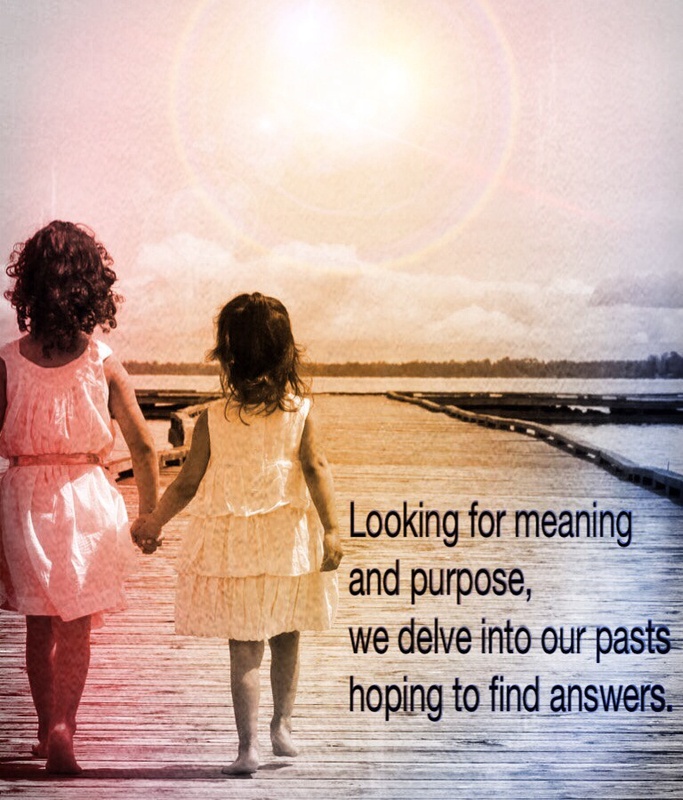 Looking for meaning and purpose, we delve into our pasts hoping to find answers. Can I change the world by mere existence? Can I move mountains by my sheer desires? I might not be rich and famous, nor be of a celebrity status, but I am unique. My experiences, my pasts, my relationships are in essence what I am made of. A self image is the heart of the soul. We search our pasts, we research our ancestry, we hunger for knowledge. 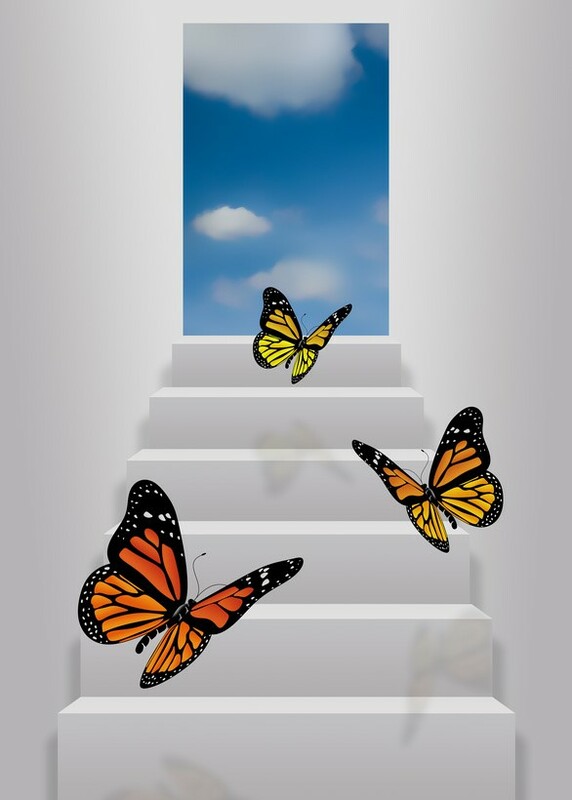 Are you looking for a fresh start or a new beginning? Start where you are and look for the guideposts. They are the markers which lead you to make a choice. The answers are out there. Are you ready to make a difference? The shadows our lives cast convey an incredible legacy. 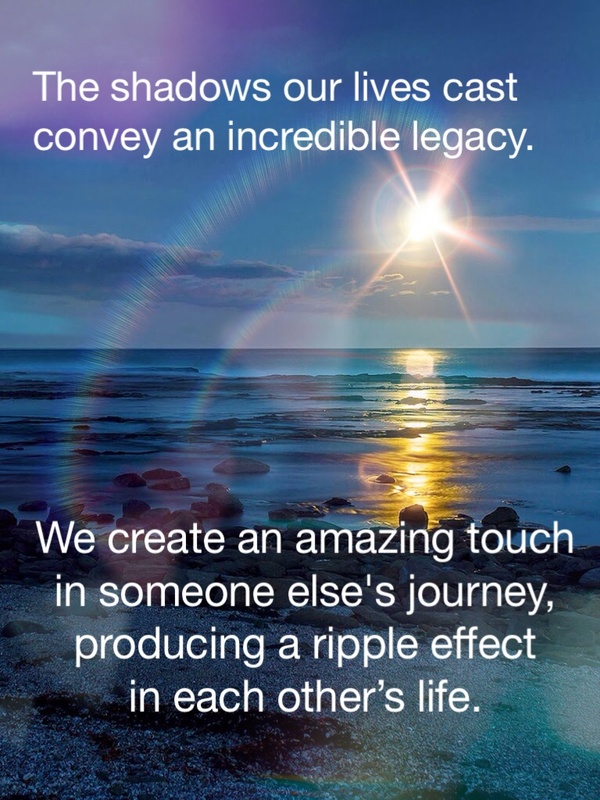 We create an amazing touch in someone else’s journey, producing a ripple effect in each other’s life. Can you define your limits? You have the ability to make a difference in the lives around you. You exist and therefore you are already making a difference to those in your life. How do you want to be remembered? What kind of legacy will you leave? Discover your purpose and live a life of passion. Your dreams are there, waiting to be awakened. Are you filled with a dream? Do you want to make a difference in your life? Awakening the dream within is about discovering your passion. It’s about waking the dream that stirs deep inside your soul. It’s the calling of your heart that carries the voice of truth. It’s turning discoveries into opportunities. 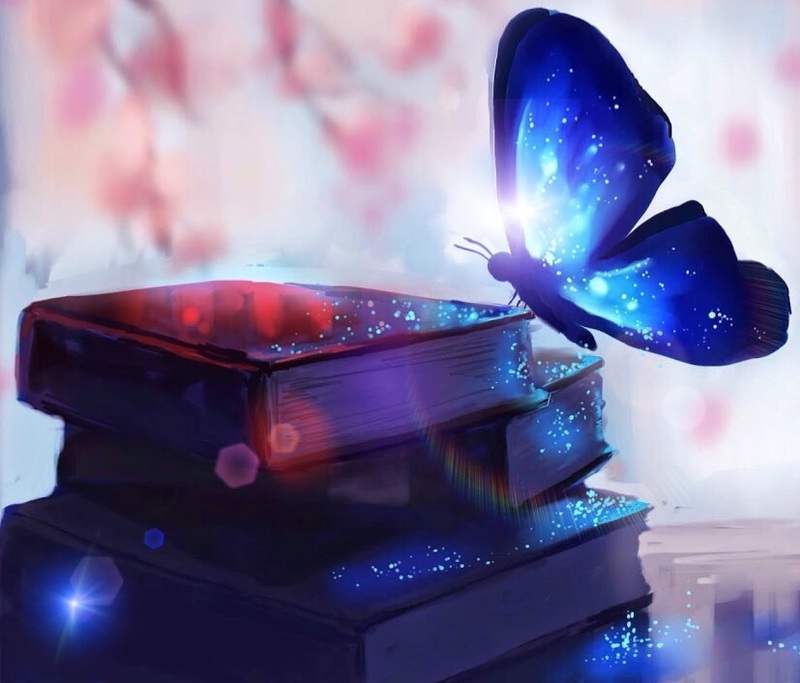 This is a journey of a writer who held a passion inside for decades, then decided to release her dreams and publish a book. This begins the journey. Inspiration is found here. Snippets of wisdom and quotes will follow. Discover your passion and awaken the dream inside.